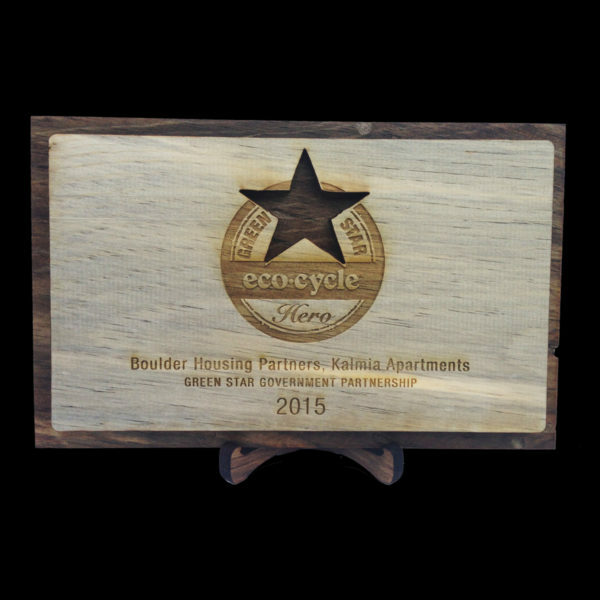 Designed for EcoCycle, these awards commemorated Green Star Heroes of 2015. 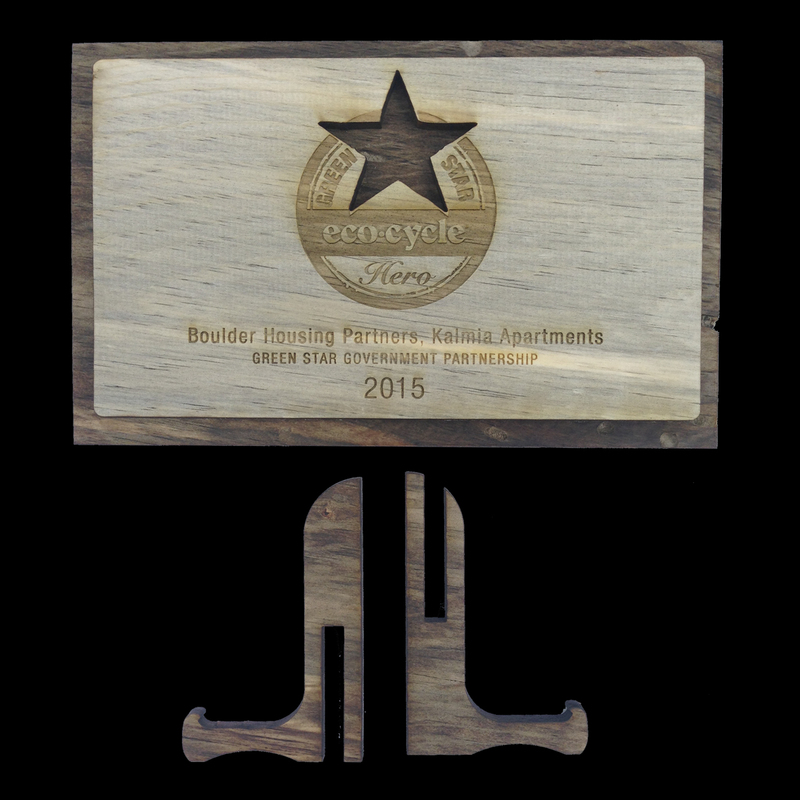 Made from two layers of beetlekill pine with the back layer stained dark, the cut through star and outer edge provide a nice contrast to the light, engraved main plaque. Custom stands were also designed and fabricated to compliment the award plaques.